Celluloid Junkie has partnered with UNIC – the International Union of Cinemas trade body for Europe and beyond – to highlight innovation in the European cinema sector. 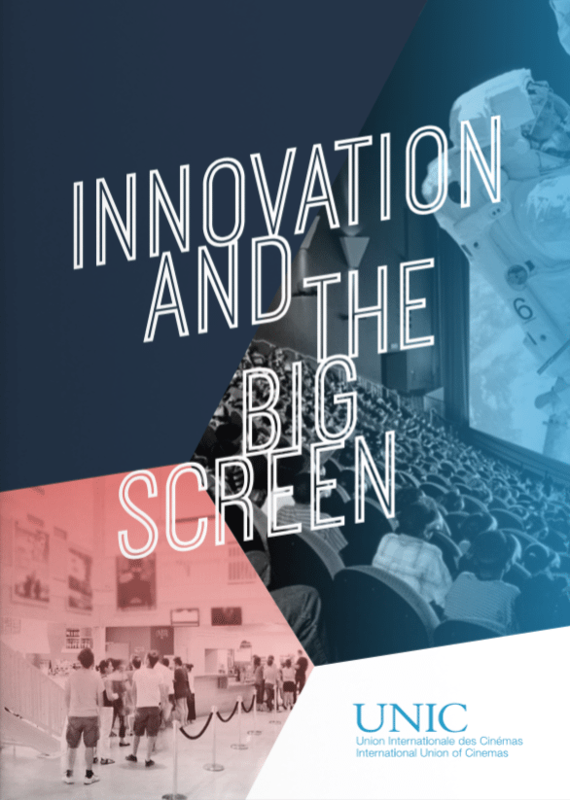 UNIC has just published a report called ‘Innovation and the Big Screen‘ (PDF link). Our fourth post is an interview with the founder and CEO of one of the most innovative companies to emerge in the cinema space this decade. Ste Thompson and his company Powster has in a few short years become the go-to company for all the Hollywood studios as well as leading European distributors. The interactive and production company provides bespoke innovative content, concepts and web apps for the entertainment industry. In 2016 it sold a 50% stake to entertainment software major Vista Group International and is currently in the process of opening its Los Angeles office. Celluloid Junkie: What is your first memory of cinema going? Ste Thompon: I remember walking into the cinema lobby and being immersed by dinosaurs. I was handed a special drink in a T-rex cup and was surrounded by giant cardboard cut-outs. It felt like a theme park, and it was the memory of the lobby that stuck with me as I went inside to watch Jurassic Park. It’s conceivable that for many kids their first memory will soon be a virtual one. CJ: In what areas of cinema do you feel there is currently the greatest amount of innovation? Ste Thompon: The way movies are marketed is becoming more intelligent, not just by the people running the campaigns but the technology powering them. Real measurement of marketing spend is allowing it to become more focused and effective. Technology companies have realised the cinema industry has problems to solve and have capitalised on providing solutions. We see companies analysing the showtimes data, companies analysing the ticket sale and companies helping measure ROI on advertising. All verticals are innovating with digital web technologies, but from the outside the cinema industry has an appearance of glamour and being on top of things. This impression can put-off digital web/app technology companies from realising there is still plenty of room for improvement within the industry. There is a big knowledge gap between the people reading this interview and the general Silicon Valley world. It’s only once you visit a few CineEurope and CinemaCon events that you start to appreciate how all the pieces work together and the problems that digital can solve. As more component parts of the cinema industry move to digital / the web, certain issues are starting to come to the surface. We are now seeing a few companies inside the industry using their skill-set to solve these issues. There is always talk of innovation at every conference, but it’s apparent that the people who see the problems don’t always have the skill-sets to solve them. As a result, we don’t see enough tangible gains for the industry. CJ: And in what other areas do you feel that still more innovation is needed? Ste Thompon: There’s a lot of siloed thinking: movie studios generally think only about single movie releases, while cinemas think about their individual chain / cinema. There are not many companies really trying to solve the wider consumer journey of cinema-going and those that are in this space, try to take something from the distributor or the cinema, rather than provide value on top. The ticketing process is still fragmented globally, especially in Europe. And that’s where Powster fits into the equation. The Powster movie platform exists largely because from a customer perspective it’s difficult to find all your film/cinema/showtimes options. Sometimes the cinemagoer will face 100s of choices with 100s of different checkout pages. The Powster platform goes a long way to improving cinema/movie search, but until cinemas engage and facilitate ticketing across the web, the user journey will continue to be held back and the whole industry will not reach its true potential. We’re all so focused on competing with each other, that we often miss the point that we’re actually competing with short-form entertainment and the ease of access of TV / movies legally online. Convenience is the biggest barrier and it’s never going to be convenient if individual cinemas and movie studios want the user journey to be framed in a particular way. CJ: How do you see cinema positioning itself against on-demand content online? Ste Thompon: On-Demand is so popular because it’s so easy. Cinema can easily position itself against on-demand by removing the barriers. Making the cinema-going user-journey easier across the industry would make it really powerful. The actual experience of having a giant screen and the best sound easily wins against other forms, so it’s more about making it super easy to find a showtime and buy a ticket. Right now, especially in a larger cities, you have to compare many different cinema chains, different prices, different purchase processes and different showtimes. The user journey is so cumbersome that some chains will win customers purely because the customer is too lazy to check multiple cinema websites. From that user’s perspective, the options for ‘going to the cinema’ are sometimes limited by what’s playing at their local cinema. Sure it’s great for that local cinema get one extra customer, but as a whole that same customer may end up going to the cinema less; they may get frustrated with the whole search and transaction experience and just watch Netflix next time instead. In an ideal world, going to the cinema / inviting friends, etc, should be as easy as sitting on your couch and pressing your On-Demand service button. The library of content available in cinemas at any one moment is richer, more exciting and extremely convenient if you take ALL showtimes together for cinemas. You forget you even pay to an On-Demand service as the payment is abstracted. By contrast, organising a trip to the cinema can still be a chore from finding the right screening, organising friends and then entering bank card details. CJ: How is cinema adjusting to consumer expectations of one-click transactions? Ste Thompon: I’m biased of course, but the Powster movie platform goes a long way. We have a slightly different objective to some cinemas and other aggregator ticketing platforms. Some destinations actually have an objective of getting more page views as a key source of their revenue comes from advertising. We simply want more users to go to the cinema. At Powster, we actually have a zero-click target (or zero-tap as 75% of all traffic we get is on touch devices now). When users load the webpage, they are instantly geolocated and their closest cinema playing the movie is selected. The closest day is selected automatically and the next showtime is right there in-front of them. We even show directions on a map, so in the UK, for example, you can see which bus you need to get to go to the cinema! For a lot of users they’re done at this point; they haven’t tapped at all and they can now go ask their friends: “Hey, Moana is playing tonight at 8 at Odeon down the road. Shall we go?” From a Powster perspective, if they then walk into the cinema and buy a ticket that’s great! The cinema and the distributor both win. Compare that to the experience you get on most cinema websites, and even some ticket aggregators, where you have to fill what is equivalent in effort to a tax return to get to the purchase page. This experience, coupled with the fact a lot of sites aren’t yet optimized for mobile, means the one-click transaction has a long way to go to become a reality. Imagine the amount of money the cinema industry pays upgrading their websites and optimising their pages for mobile each year. The digital web / app industry keeps moving forward and accelerating, which means cinema chains face the burden and cost of keeping up. They’re getting charged by big web development companies and by the time they’re done it’s already out of date. For example, you’ll have just finished revamping your website for mobile, only to find that transactions are now taking place on Facebook Messenger. The industry needs to come together to find a more global solution and everyone will win. CJ: Do you see the cinema space itself being redefined by people’s expectation and lifestyle habits? Ste Thompon: In a nutshell people expect a premium experience from the cinema. The Jurassic Park cup and theme park atmosphere I enjoyed when I was younger hasn’t been replicated online or in-front of my TV. The winning formula is to make the value you get from going to the cinema higher than the effort it takes to get to the screening. So provide a richer experience with VR in the lobby, and give customers an immersive atmosphere with quality content, while on the other side, make it easier and more convenient for cinemagoers to find their movie of choice and plan their trip. People are already engaging on SnapChat, Facebook Messenger. They’re engaging directly with the movie on Facebook pages and Twitter, or whatever new platform is grabbing their attention. Cinema needs to be present there, easy to access, engaging, and challenging the short-form entertainment that’s already at their fingertips. CJ: Powster has worked with all the major Hollywood studios and European distributors. ?What is it that you are offering them that they cannot do themselves? Ste Thompon: Powster has always sat in a unique space within the industry. We work across all movie studios and all exhibitors, with a single goal of getting more people to the cinema. We’ve invested heavily in user experience and testing. We have created 1000s of movie destinations and have learnt a lot about what works and what doesn’t. We’re constantly developing and building on our platform to make it easier for people, and while we develop the platform some distributors have built their own. But unlike Powster, they don’t have the economy of scale, so it’s proven to be cheaper AND better to to work together to provide the ultimate platform. Now Powster is part of Vista Group (providers of cinema software for 40% of major cinemas worldwide), we have the support from a trusted partner in exhibition. The cinema chains recognise that Powster will continue to support cinema-going and are committed to providing the maximum value to them. We sit as a creative studio between distribution and exhibition, providing maximum value to both sides. Everyone wins at the end of the day, and that’s what’s made the Powster model so successful. CJ: You are giving a demonstration of VR at the UNIC event in Brussels. Can you tell us a bit more about it and how you see VR relating to the big screen experience. Ste Thompon: A year ago there was some nervousness about VR from the cinema industry, but it has since learnt that VR is simply another medium. Having a VR headset in your cinema is no different from having a TV screen in the lobby. Virtual Reality is simply another screen. It’s just another way to consume content and cinema should embrace it. What we’re focused on at Powster is not just giving the consumer an entertaining experience (where they simply say: ‘oh great, I want my own VR headset’), but to provide value and push cinema. Our VR experience shows cinemas on the map around you like you’re flying above your city. It’s also the only way to watch the trailer in 3D easily at home. You see the release messaging and you’re immersed in the world of the movie. There’s a lot of VR content creators, but VR can be a way to push the cinema-going experience, rather than a substitute to it. You have companies like Veezi (part of the Vista Group) creating the software to buy tickets for VR in cinemas, and then you have Powster creating the software to buy tickets for cinema in VR. CJ: Can online solutions help to make cinema a more social experience in the real world? Ste Thompon: Organising a trip to the cinema is already a social experience, usually involving a casual chat in person, or more often via chat / messaging applications. Online solutions can definitely help but there’s some confusion right now that we should simply replicate the user journey of the web but inside messaging environments. It’s similar to how early cinema mirrored real-life theater but on screen, rather than trying to use the particular strengths of the new format. Messaging is a communication tool and cinema-going should be more ingrained into dialogue and the planning phase. In my opinion an ideal social chat app scenario would be where a group of friends mention the name of a film in chat and the bot displays the next nearest available screening, as well as showing the uber order and trip time. The user can hit an order button right then and there with the destination set. The point is to provide maximum value and make the journey easier by reducing effort. Most cinema bots so far have just reproduced a web journey and actually made things a little more awkward. On-demand cinema has definitely made the experience more social, but it comes with a lot of hard work from running your own kickstarter-style campaign to setting-up a screening. It would be fascinating to see a cinema operate more like Netflix, but there are just too many blocks right now, mostly in terms of scheduling and booking issues. Software Development Company, Cinema Intelligence goes some way to help make things more flexible, as its data-driven scheduling allows a cinema to have more movies and screenings. There was quite a buzz around group booking last year, which was mostly driven by Atom tickets. There’s still quite a lot of work to be done to help groups of people easily organise themselves for a trip to the cinema, not just the payment phase. Chat-bots and web apps might be best placed to solve it. 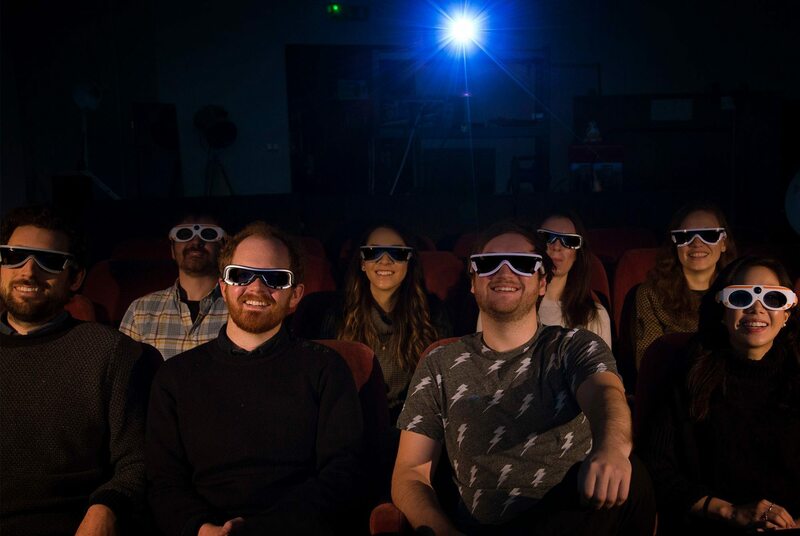 Event cinema has enabled groups of niche audiences to come together to watch content usually restricted to the small screen or live experiences. It would be great to harness the community element that’s established at these one-off screenings and keep that audience connected to one another all the way to the next event. CJ: Finally, the ‘moon shot’ question – what question do you feel leaders in the film and cinema industry should ask themselves in order to stay relevant in 20 years time? Ste Thompon: How can my business keep up with the innovation happening in industry? Share your problems. Put briefs / RFPs / hackathons out there to help solve your issues. Let people create value by sharing the inner workings of the business. Be open to new technology and let people do the experimentation and labs type work for you. Nobody in the industry has all the answers. Right now within the industry there are certain barriers to wide-ranging technical solutions. Without a free official resource for movie meta-data or an open database for movie showtimes, there remains a significant financial barrier to build a simple app. With extremely high prohibitive showtimes data charges, developers and aspiring entrepreneurs are discouraged from bringing new thinking and innovation to industry. There are a lot of new start-ups out there and we should encourage cinema to be more open and accessible to the possibilities of innovation. CJ: Thank you for talking to us and see you in Brussels.